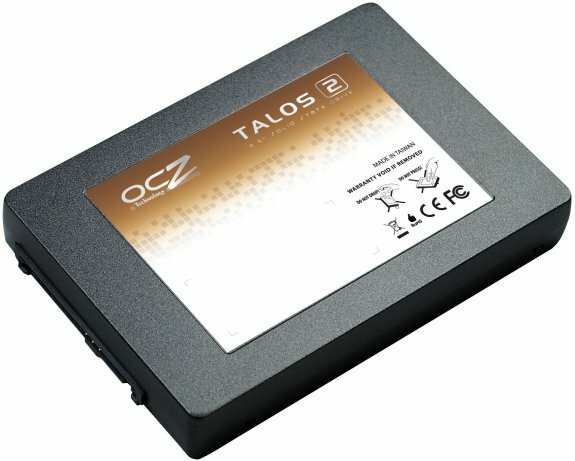 OCZ announces the Talos 2, a new enterprise solid state disk with the 6Gbps SAS interface. OCZ Technology Group, Inc. (Nasdaq:OCZ), a leading provider of high-performance solid-state drives (SSDs) for computing devices and systems, announces the Talos 2 Serial Attached SCSI (SAS) SSD Series, the follow-up to the high performance, high capacity Talos Series previously available only in a 3.5 inch form factor. With capacities up to 1TB now available in a compact 2.5-inch form factor, Talos 2 offers increased I/O performance and scalability in enterprise storage environments. Talos 2 leverages OCZ Virtualized Controller Architecture™ 2.0 technology which implements an intelligent complex command queuing structure with unique queue balancing algorithms to provide exceptional performance. Talos 2 SSDs deliver superior random transactional performance at up to 70,000 4K IOPS and features improved mixed workload (75% read; 25% write) performance with up to 42,000 8K IOPS. Unlike many SAS SSDs, the Talos Series is dual-ported to offer superior data integrity and increased performance, along with delivering a robust enterprise feature-set including DataWrite Assurance™ Protection in case of sudden power loss. Talos 2 also includes the option to enable T10-DIF (Data Integrity Field), allowing for the insertion of 8 bytes of additional data during transfers to ensure complete data integrity.